9.63" overall. 5" black powder coated SK5 carbon steel karambit blade. Black G10 handle. Full, extended tang. Finger ring. 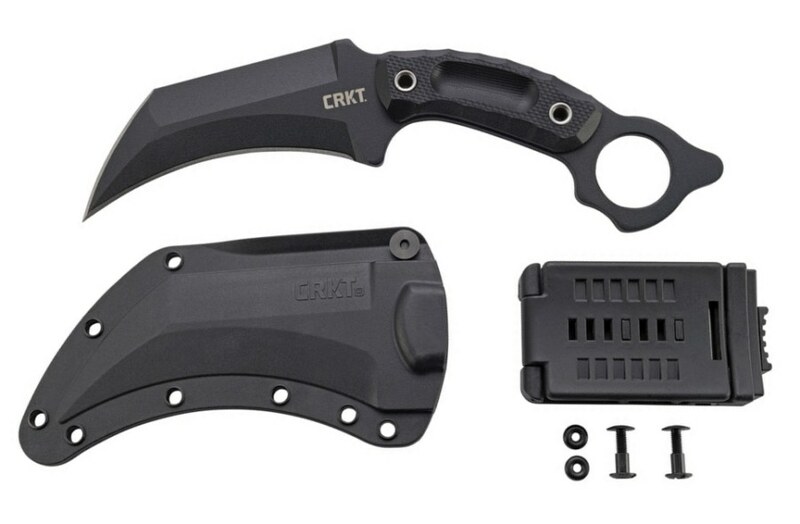 Black GRN belt sheath. Boxed.